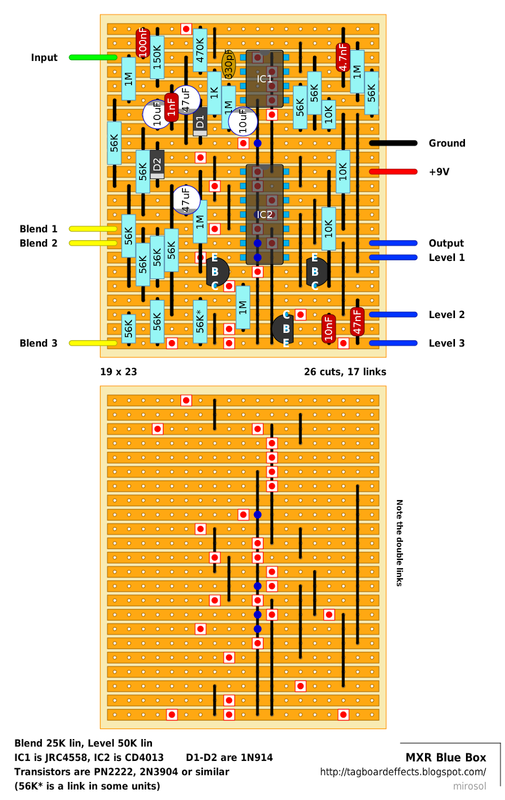 The effect was used by Jimi Hendrix, and can be heard in guitar solos on the song "Purple Haze". 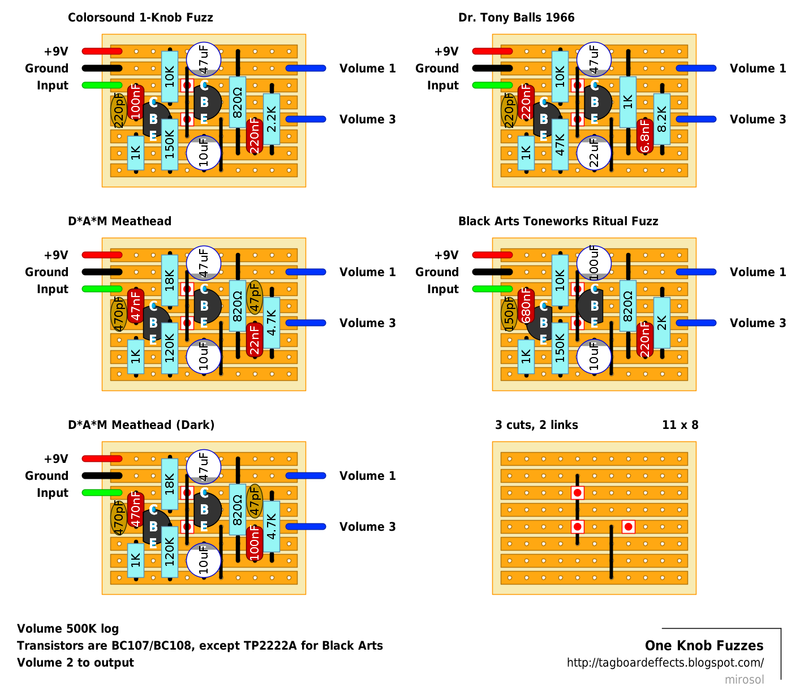 Hendrix preferred to call the device the “Octavio”, and it is often referred to as such. After Hendrix's death in 1970 one of the original Octavias became the basis for the redesigned "Octavia (TM)", manufactured by Tycobrahe Sound Company in Hermosa Beach, California, during the mid-1970s. A limited number of the devices were produced, and today a used one in good condition sells for over $1,000 on eBay. Stevie Ray Vaughan owned nine of these devices. It's a modded Vox Repeat Percussion so more use for those 2N2646's you stocked up on. The Hummingbird is, at heart, a hard and choppy tremolo. What comes out is more akin to vintage synth style oscillations. It's core is based on the old Vox Repeat Percussion with several updates to reduce noise, enhance the "chop" and add more control. It can create ring mod-like octaves, slow pulses, ping pong delay-like stutters, light blipping through machine gun stutter tremolo and many more wacky sounds! 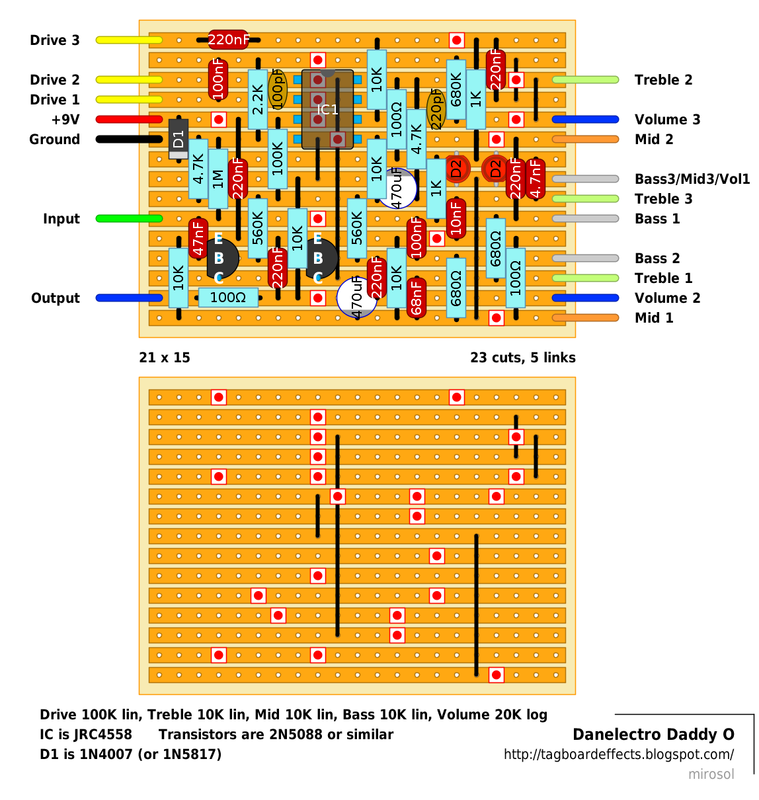 Depth- Controls amount of modulation from barely there to full signal chop. Equal parts mysterious and ghastly, the Phantom Octave is a shape-shifting octave fuzz monster! No controls? They're not necessary--they're at your fingertips! The Phantom Octave is extremely interactive with your pickup selection, picking intensity, and your guitar's Tone control. Like its namesake, the octave will disappear with picking intensity and by rolling back your guitar's Tone control. 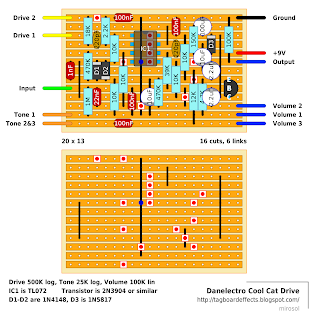 Octave effect is strongest with low-output single coil pickups. With the flip of your pickup selector and your picking technique, you'll find huge octave downs, glitchy ring mod-ish tones, and even be able to bang out some simple chords! 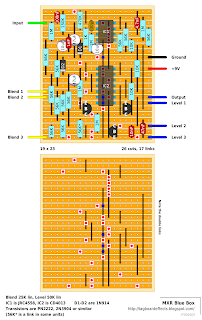 Set the intensity of the effect by using your guitar's Tone control as a Blend. 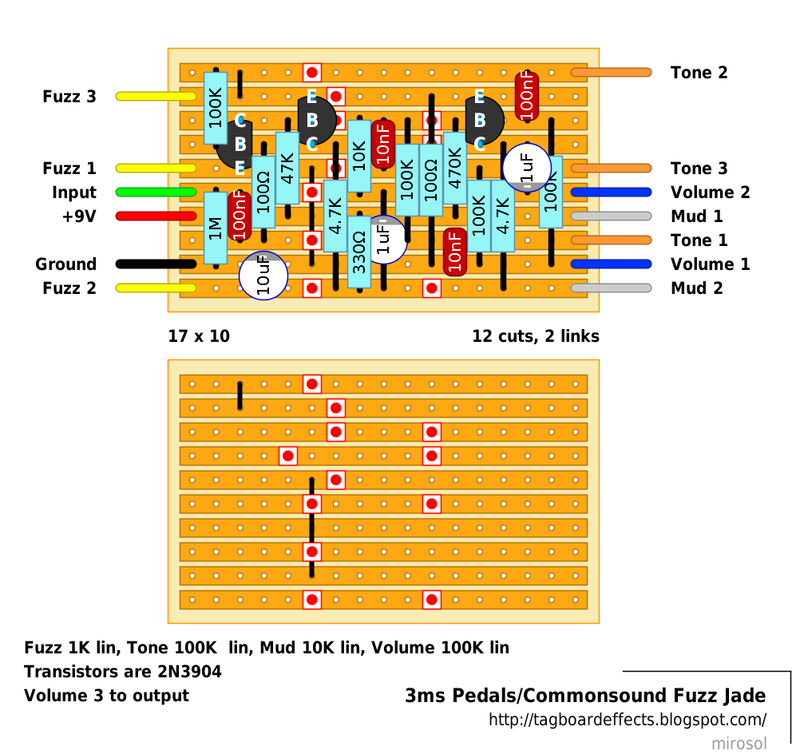 Roll your guitar's Tone control all the way back, and you've got a chord-friendly fuzz! 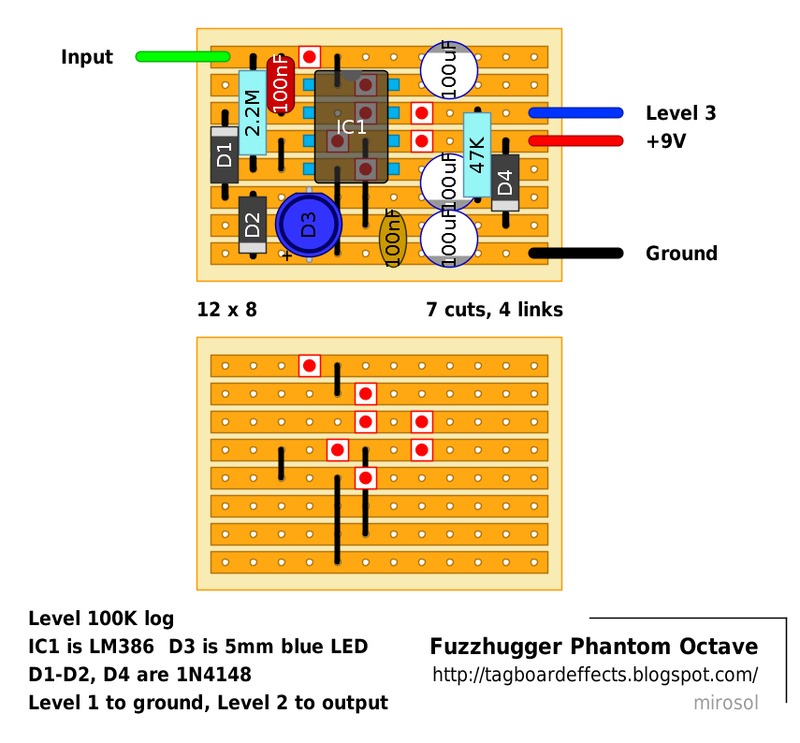 • Output: Controls the output level of the Phantom Octave! • Interacts strongly with your pickup selection (and playing technique). A guitar with a three-way selector means three settings! 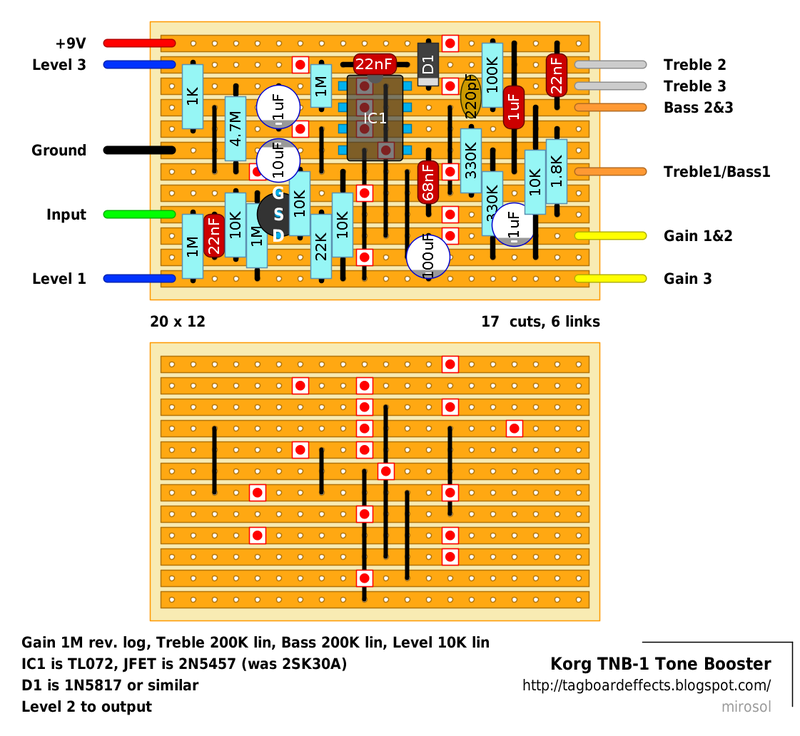 • Your Guitar's Tone knob will blend out effect intensity. When blended out, you get a nice smooth fuzz tone! • Must be used with passive magnetic pickups (standard guitar and bass pickups), and be placed first/early in your effects chain. This one's yet another Fuzz Face, but both boxes using the circuit are quite cool things..
A good booster is often the most underrated tool a guitarist can own. When placed before your overdrives or distortions, a thicker, stronger and more saturated tone can be achieved. When placed after, you get your exact same tone except louder. 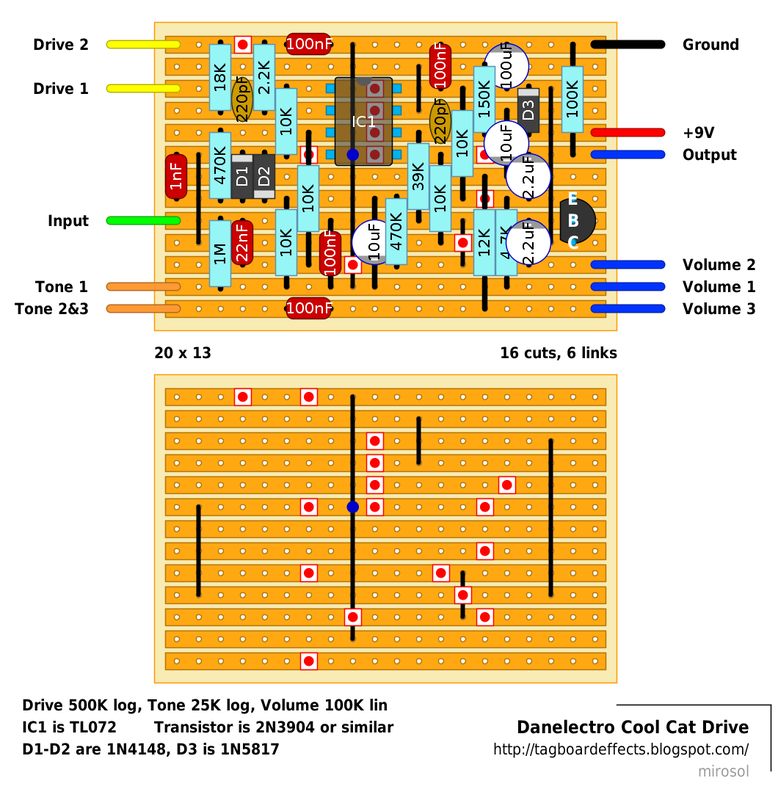 This is great for lead passages and for causing a tube amp to naturally overdrive due to its huge amount of headroom. You will notice a slight touch of presence that lets your tone cut through the mix for those passes that you really want to stand out. Chords are heard with clarity and subtle harmonics shine! 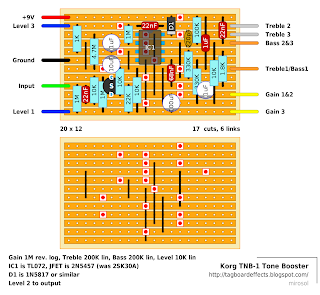 The Mini-Bomb JFET boost can do all this and only takes up a small 1.5"x3.5” spot on your pedal board! Oh yea, and did we mention....this pedal works great on both electric guitar and bass guitar!!! I didn't think it would end up too big, so I thought I'd jump straight in at the deep end and do a modified version with additional 9V/18V switching and the components switching done with individual toggles rather than a single 4PDT switch, which allows you to turn the selections on and off independently. If you want it exactly like the original, you can omit the charge pump and associated components and take 9V directly to where VSw 3 connects to the board. 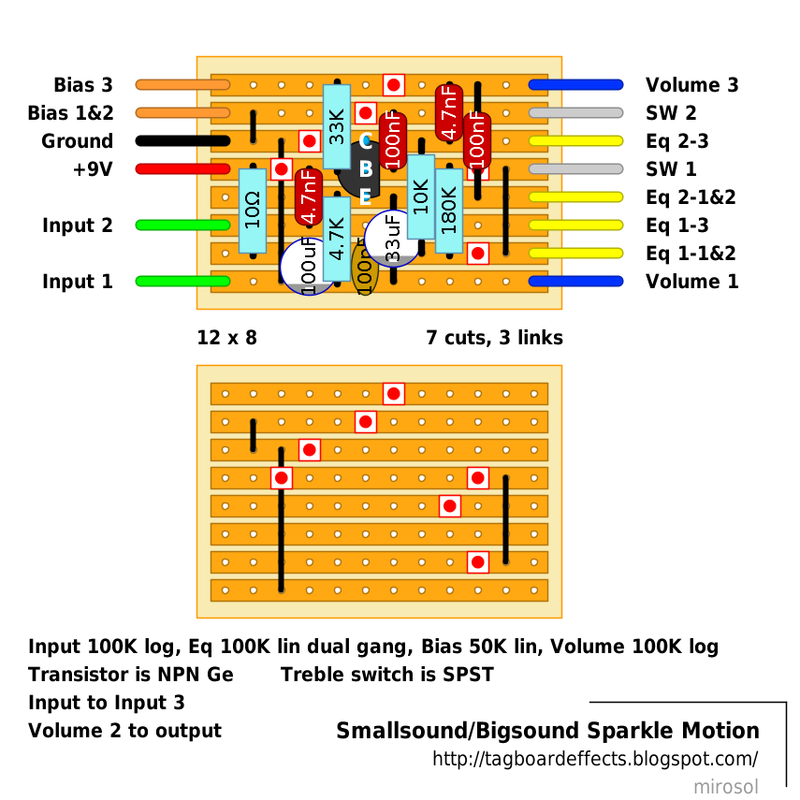 Then use a 4PDT toggle instead of two SPDT and one DPDT for switches 1 to 3. Introducing the new Dirty Little Secret from Catalinbread. The Dirty Little Secret has earned itself a well-deserved reputation for replicating the sound and feel of a classic era Marshall amplifier, supplying one of the most iconic guitar sounds in music. Able to clean up with a flick of your guitar's volume control, or go from mild crunch to full kerrang with your pick attack, the Dirty Little Secret has seen the inside of arenas and bedrooms alike, providing great overdriven sounds to clean backlines, low-wattage amps, and even direct applications. When the JFETs used as the base for the Dirty Little Secret were discontinued, and as our stock of them began to dwindle we knew we had to find ones still being manufactured. However, rather than simply re-voicing around these new JFETs, we decided to push the envelope and provide an amazingly robust feature-set, from ever evolving listening and circuit skills, and pure power of intention. This isn't just 'a' Marshall in a box, it's the most versatile and dynamic Marshall-style overdrive out there! • The DLS now offers two distinct voicings, "Super Lead" and "Super Bass" switchable via an internal slider switch. • Completely redesigned full three-knob treble-middle-bass tone control complement that reconfigures for each mode setting. • We've also added an internal presence trimmer that allows you to fine-tune the presence of the pedal precisely to your guitar and amp combination. • The gain range is much wider and even more responsive to pickup types, playing dynamics and instrument volume knob! The "Super Lead" mode expands the range of the DLS MkII with more gain available and more control over your tone sculpting with the addition of the midrange control without losing any of the touch-sensitive dynamic qualities that made the MkII so great to play - in fact, those qualities have been enhanced. The gain range now goes from classic plexi all the way to modified JCM800 levels and can get even more raw and open than any previous DLS. This mode was voiced specifically to make humbucker-equipped guitars really rock with clean to scream all from the twist of your guitar's volume knob. The "Super Bass" mode is a new voicing that gives you the tone and gain structure of a Marshall Super Bass (which is very similar to a JTM45 or JTM50/100). This mode was voiced to really hone in on that elusive in-between "not quite clean, not quite dirty" response that old tube amps were so good at getting. 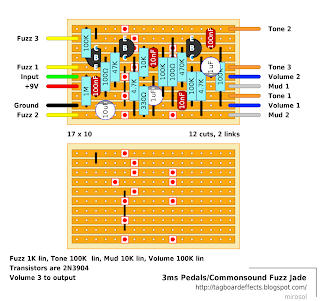 And it was specifically voiced to make fuzz pedals sound great (especially two-transistor based fuzzes like the fuzz face). 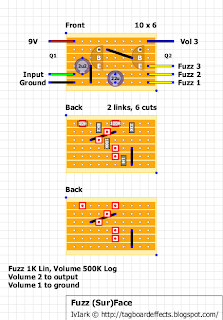 Plug a Strat into a Fuzz Face into the new DLS in SB mode and you'll see what we mean! I've just done this as an experiment but thought I may as well share it here in case anyone else is interested. I bought a few different SMD component kits a while back and wondered how easily they can be used with vero. 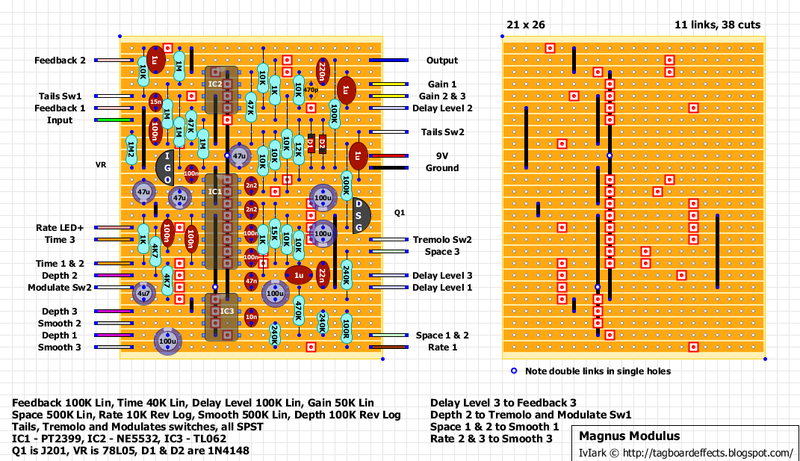 I think it will be a nightmare for bigger circuits because you're obviously stuck with the consecutive row spans which means you will end up having to use a lot of links, but I don't plan on swapping over from through hole components and layouts any time soon anyway, just wanted to see how easy it is to do in terms of layout and build. A few notes about it. 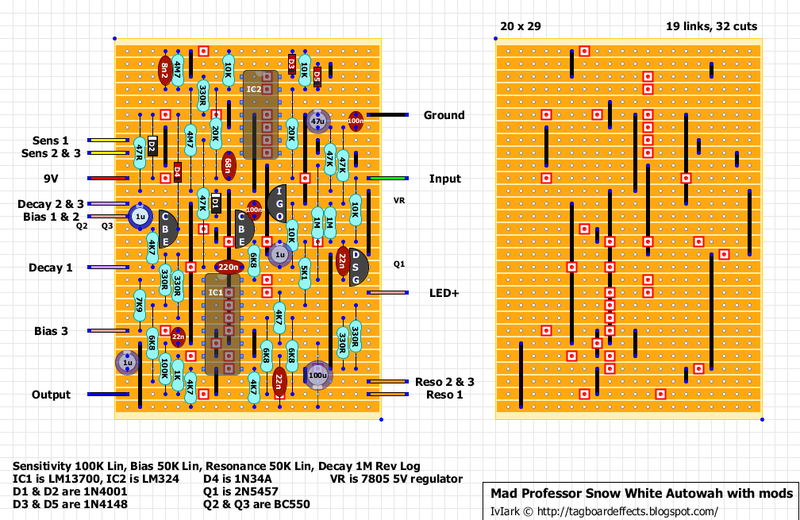 1) The layout shows 1206 size passives. 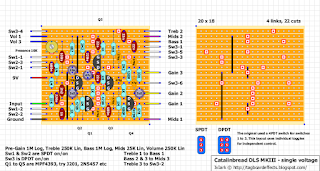 A resistor and capacitor kit can be purchased from here which should last a while. I left the transistors and electrolytics through hole though because they are obviously much less fiddly than SMD (the transistors would be awkward to use with vero and hard to place on 3 consecutive rows) and of course everyone already has a good selection in stock. This is for an NPN silicon build, but it also means it could be easily adapted for a PNP germanium. 2) Solder the space you intend to put the component in first. Then all you have to do is rest the components on the solder (preferably under a bit of force, maybe with a cocktail stick or tweezers), and melt the solder. Finish off afterwards as necessary. 3) When the components goes over the top of a track cut you'll need to keep the cut as small as possible. It may be better to do them with a Dremel or similar rather than a drill bit. Check for no continuity with a multimeter before you solder over the top. 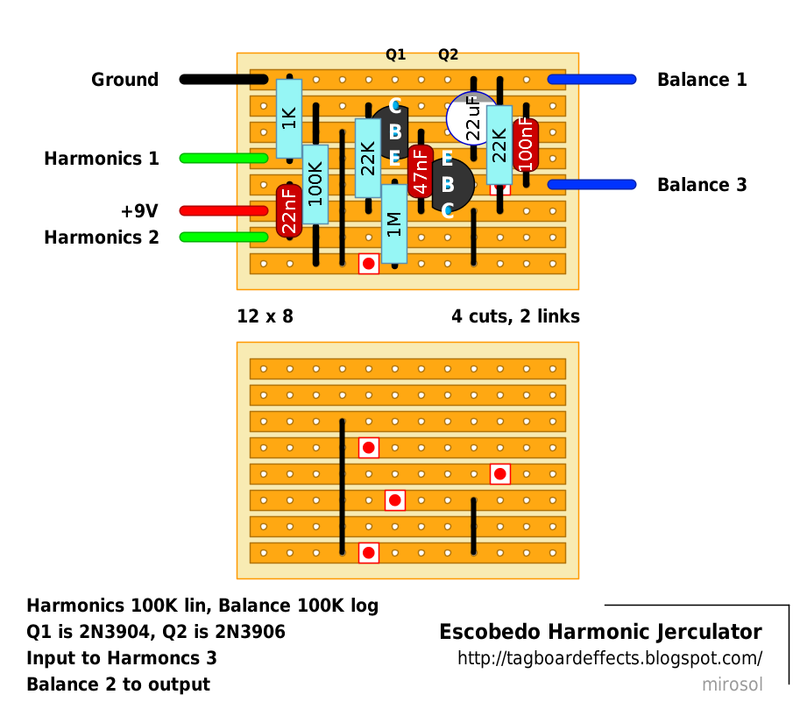 4) I haven't shown through board track cuts on the top side of the board to avoid any confusion. You can still use the links as guides when placing the through hole components but I thought it better like that. Then if you see a track cut you don't have to think about it and know you're looking at the copper side of the board. 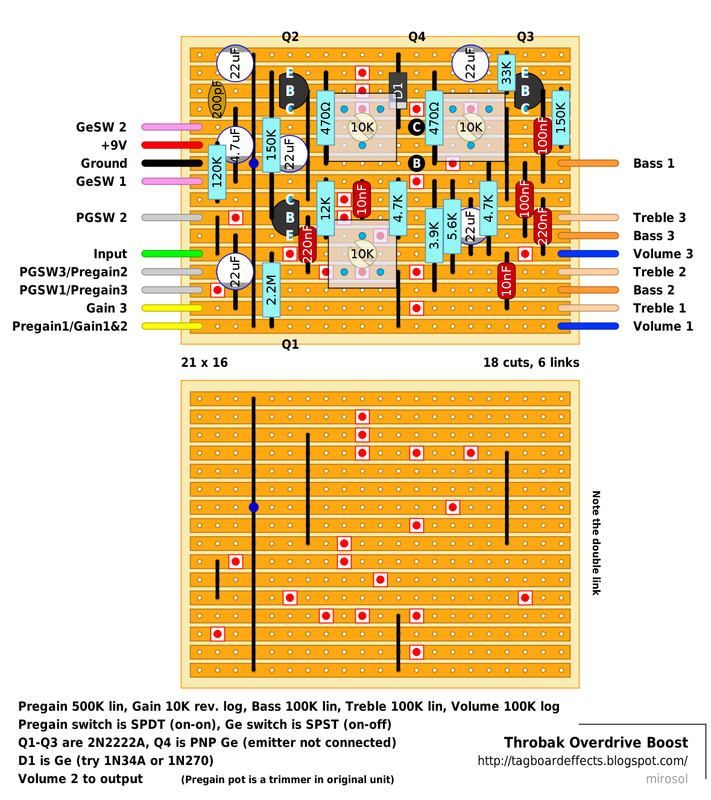 So I was going to scrap it (I will still do one with the gain stage as intended) but I thought it would be good to see how it sounded with your own choice of boost stage before it, Super Hard On, LPB1 etc, and also see how it sounded without the first stage altogether. 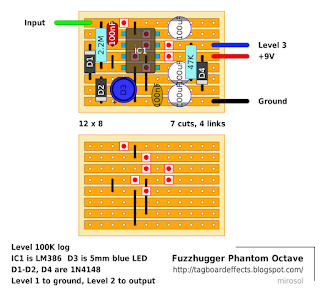 The first opamp channel is just a buffer as well, so that could always be turned into a boost with just a couple of extra resistors even if the results mean this is further removed from a DS1. So all that considered I thought it may be something that the tweakers on here may have some fun with. The Lovepedal Les Lius features a three way toggle switch that allows you to change tones from 5E3 Woody (Tweed Fender Deluxe), High Power Twin (50′s Fender Twin) and Master Volume Tchula (combination of both the 5E3 Woody and the High Power Twin). The amount of VOLUME is controlled by the first knob. The second knob is a second gain stage which emulates what happens when you crank one of these vintage low wattage amplifiers. Original unit has relay based switching and 1000µ filter cap. 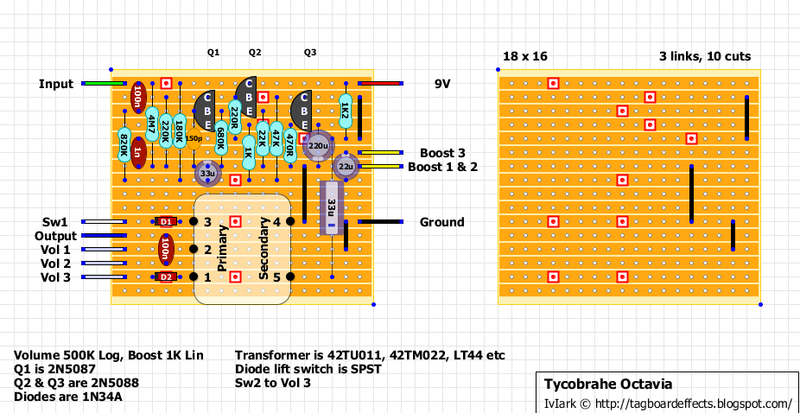 This layout is done with the circuit in tact, but omitting the original switching, LED and filtering is replaced by 470µ cap. Our "standard" polarity protection is in place and i've also added 1M resistor to prevent popping from the standard true bypass switching.. 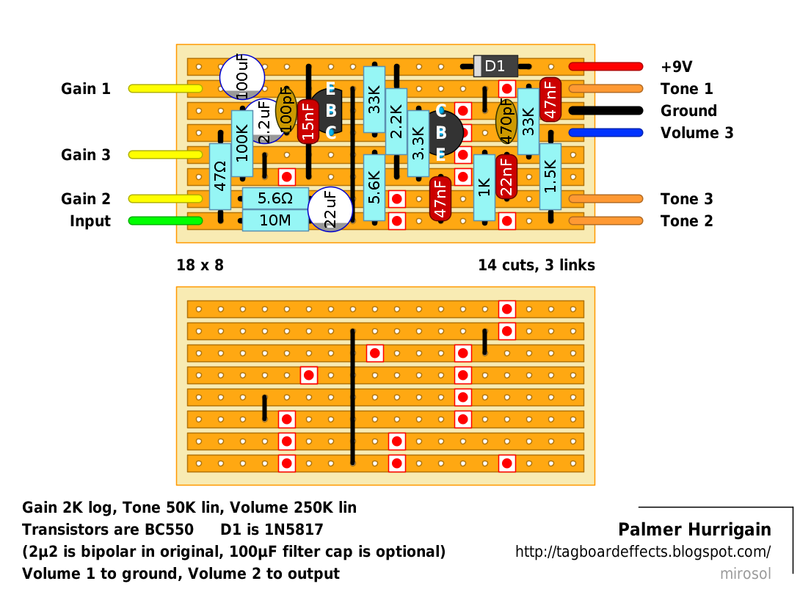 Tone 2 and Volume 3 connect together, there's a dummy connection for those on the board. Sounds nice now doesn't it? 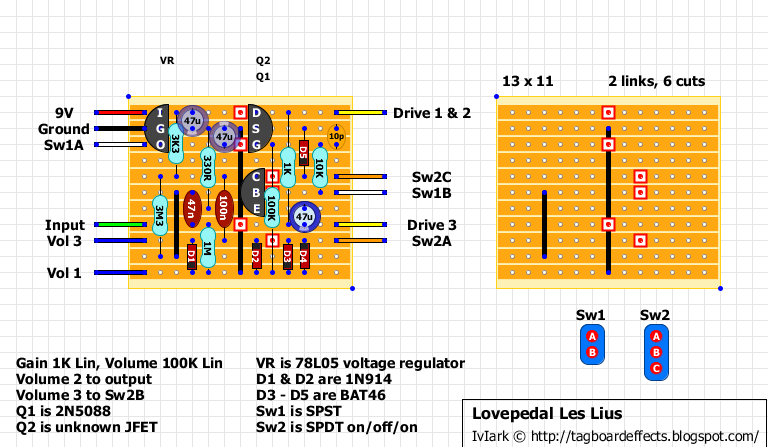 The pedal i mean..
diodes for clipping. If you're building this, you could easily make it even simpler by just omitting the Sludge switch and the 10µ cap that it controls. Thanks to Alex. 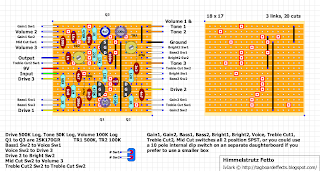 EDIT: There was an issue with the modified schematic/layout which made it defunct. Now it should be safe to build... ...and it is. Just finished one myself. 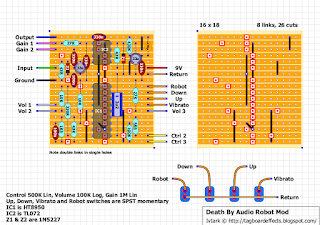 This was my take on the DBA Robot but with individual switching for the IC internal functions (Vibrato, Robot and any of the octave options on the fly) rather than the rotary switch used in the original. I thought it would be more versatile to be able to control them all individually rather than be stuck with the choices dictated by the original scheme, and all the sounds will be there with the correct settings of the toggles. The Gain control has also been taken external after a recommendation from albru80. I think it's probably not really worth including both and up and down momentary switches on reflection as that only chooses the direction that you step through the octave choices. So maybe removing one of those makes more sense. I'd suggest reading through the datasheet and deciding yourself what to include. The Death by Audio Robot is the latest in a line of sonic mayhem inducing pedals from our boys in NYC. The Robot brings Death by Audio into the low-fi, bit-crushing business. This insane pedal is a lo-fi pitch transposer that produces sweet, 8-bit ring mod effects to your guitar. The Robot features four operational modes; Normal, Octave Up, Octave Down, and Arpeggiator. 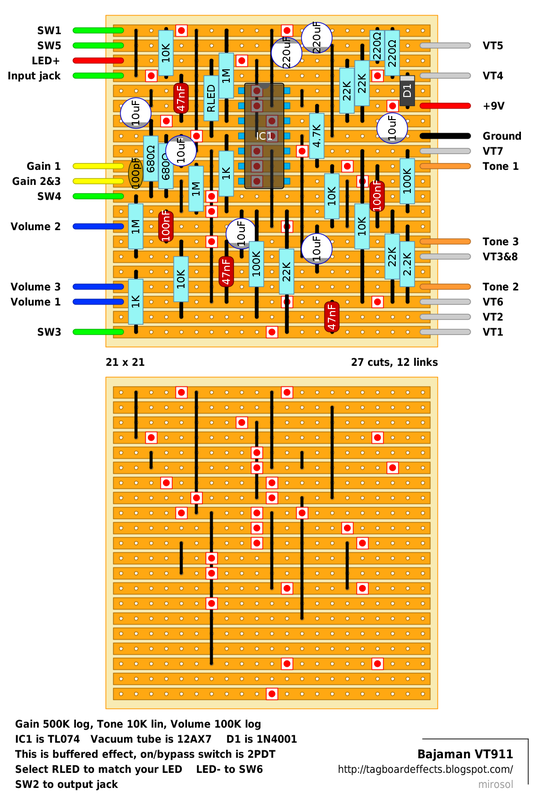 The Octave Up and Octave Down modes are pretty self explanatory. The Control knob, when fully clockwise, yields either octave up or down depending on the mode. When turned down, it bends the pitch of the octave down so you can dial in the exact tone you want. In Normal mode the Robot acts as a lo-fi fuzz pedal and the Control knob bends the pitch down from clockwise. 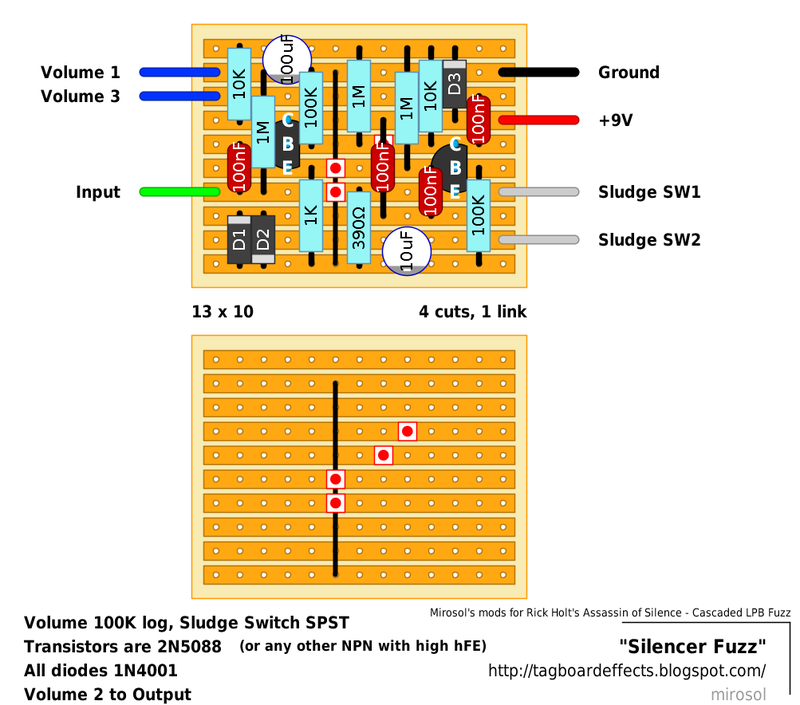 The amount of fuzz can be further toyed with using the internal gain control. Now the fun part. 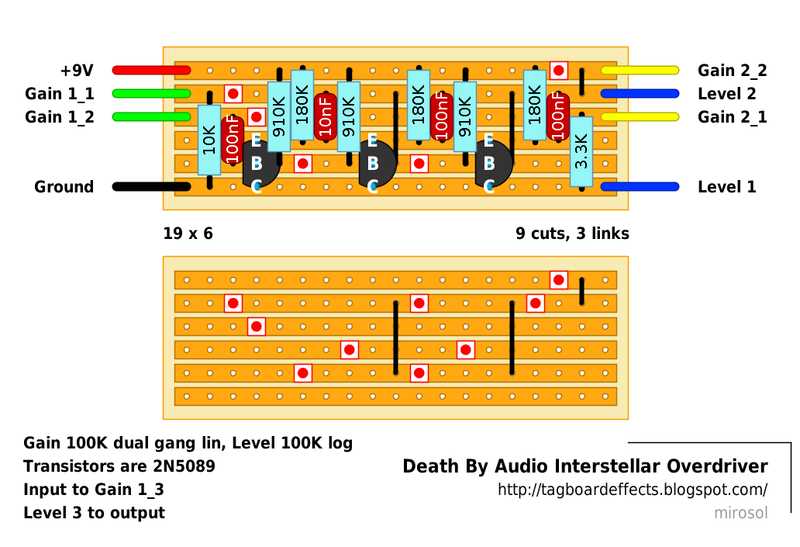 The Death by Audio Robot also features an arpeggiator. The pitch will arpeggiate in a sequence and the Control knob will adjust the speed of the arpeggiation. 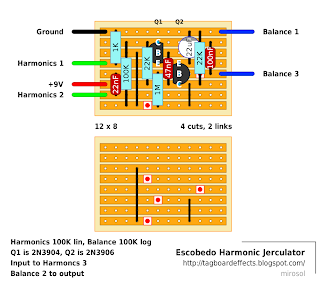 It also makes a slight change in the pitch, allowing the arpeggiator to go higher. With all this fun, who needs anything else? 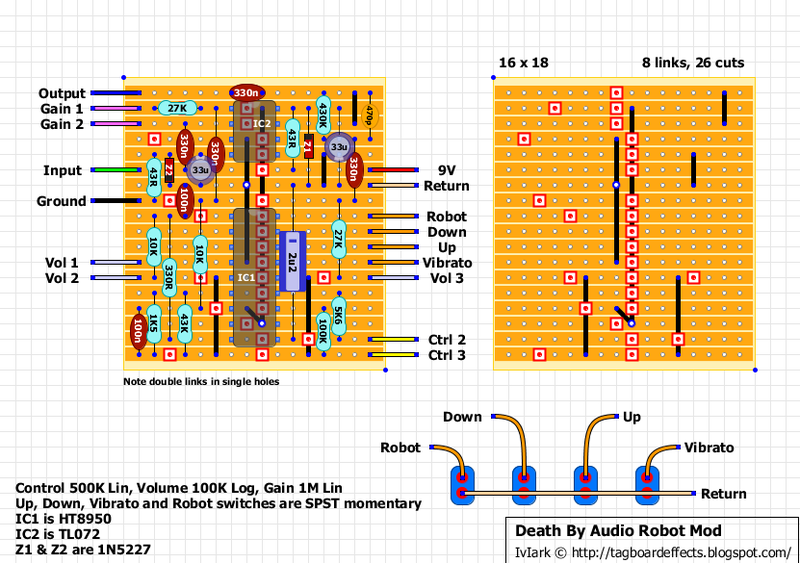 Arpeggiation, whacky robotic nonsense, and 8-bit fuzz fun are all jam packed together in the Death by Audio Robot. 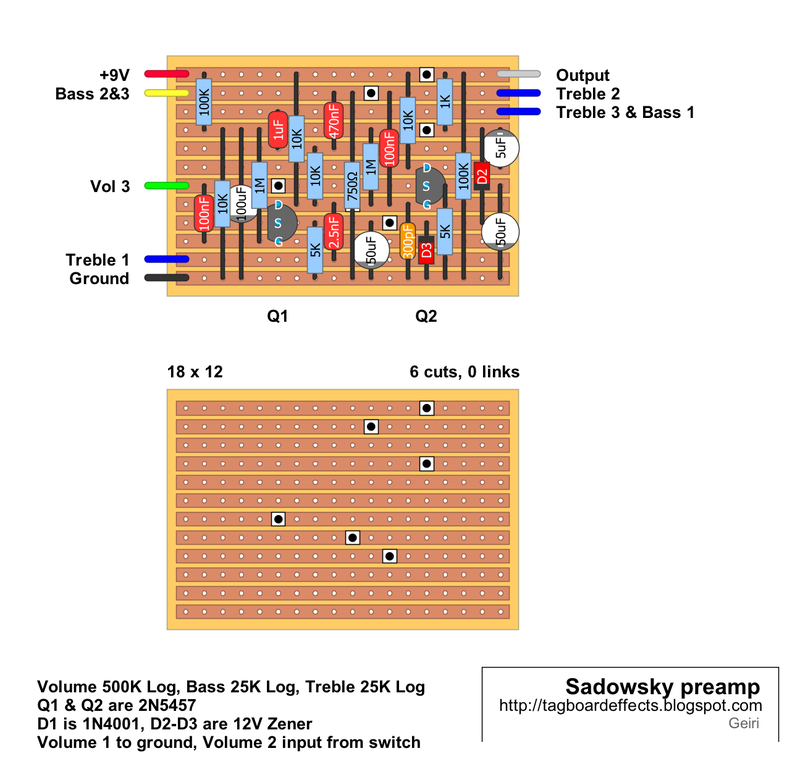 The Sadowsky Outboard Bass Preamp/DI Pedal contains the same famous circuitry built into every Sadowsky bass. Housed in a small footpedal box for use on the floor, it measures just 4.5" x 4.5" x 2.25" and weighs 1.5 pounds. 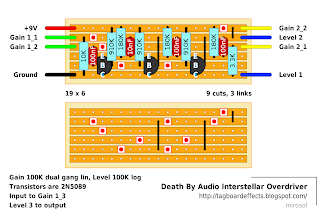 Just plug your bass into the box and then go from the box to your amp, and/or direct to the board. Controls consist of volume, treble boost and bass boost. The Preamp/DI Pedal is perfect for vintage basses where installation of an onboard preamp would affect the instrument's original condition and resale value. The Preamp/DI pedal is recommended for all passive basses, basses with active pickups, and instruments that have active electronics that can be bypassed. It also works great with all upright bass pickups. David Gilmour’s lead guitar tone throughout the years has consistently been as varied as it is sought after. Numerous different fuzzes, overdrives, and boosters coupled with various amps and guitars have created some of the most gloriously rich and vibrant tones in the history of rock. 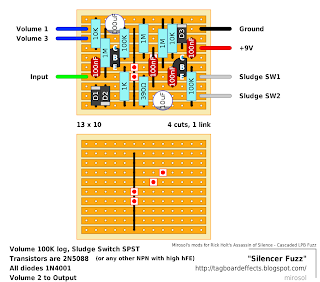 While it’s clear that no sole effect can alone duplicate the “Gilmour Sound”, when it comes to fuzz…his go to unit for the majority of his career has been the legendary Big Muff, and with so many different incarnations and variants being employed at different time periods, his tone has remained extremely difficult and elusive to pin down. The Iron Bell isn’t based on any particular Muff circuit. Instead, we’ve tweaked it to be a platform that is wide, yet focused. Unlike the Colossus Fuzz which is based on the Sovtek/Civil War era Muff, the Iron Bell is voiced to be very open and rich, with an almost 3D like harmonic quality. Alongside the standard Gain and Volume controls, the Tone and Colour knobs allow you to sculpt the overall spectrum of the EQ. That Iron Bell is tweakable enough that combining it with various set ups and effect combinations will allow an ample array of colors and shades. The Iron Bell’s main focus isn’t meant to be “David Gilmour in a box”, it’s more a tonal tool that can be used in countless ways to get the type of epically soaring, yet manageable quality of sound that has become the signature calling card of one of music’s most legendary players. The Iron Bell can be much more, and can serve as a tool to take your tone as far as your imagination will allow. Nothing too special, but just a cool, high gain, straight forward modern Fuzz Face adaptation. Demo vid in spanish. With 8 knobs and 3 switches I really didn't need to keep the size of this one down, but it will fit in a 1590B if anyone is utterly insane :o) You can shave off another column if you solder D1 and D2 in the same hole and move the 1u cap over to the left into the hole vacated by one of the diodes. But there probably isn't much point in saving the space when it's going in a 1590BB (at least) anyway. 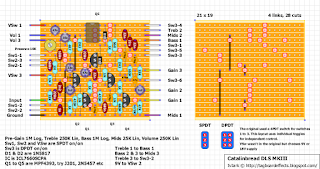 Another mod would be to make the bottom left 100u cap switchable to change the speed range available from the LFO, but I'll leave experimenting with that one up to you. The Magnus Modulus is another PT2399 based DIY echo modulation effect pedal. 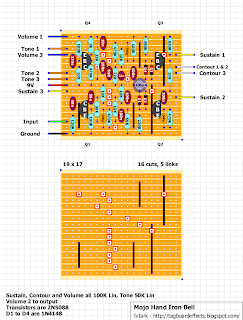 I wanted to make a digital delay and liked the idea of adding modulation ala Echo Base. 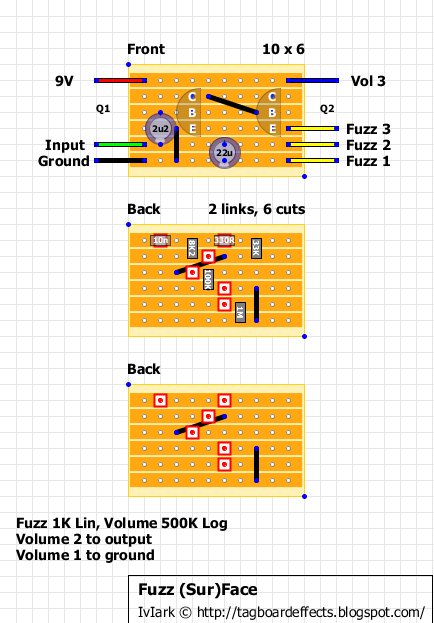 I decided to use a stage from the BYOC Ping Pong with the LFO from the Tremulus Lune for maximum modulation control. I didn't reinvent the wheel here, just a bunch of other ideas put together into one awesome effect. 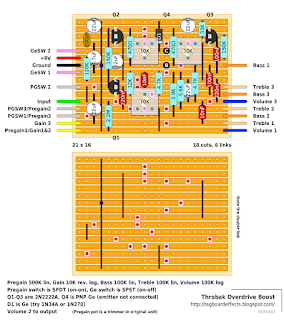 The delay lengths are controlled via a voltage controlled oscillator in the PT2399 at pin 6. 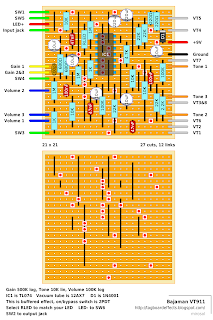 The nominal delay length is set by R9 and Delay Time pot. The modulation is coupled on top of this DC value via R10 and C13. There is no need for a variable resistor (transistor, LDR). While I had the LFO and buffers already on board I decided to add a tremolo coupled into the output amplifier stage with a J201 acting as a switch. 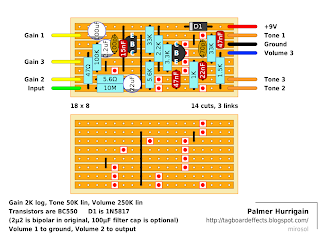 MODS: Delay filtering - I have a really hot bridge pickup in my Les Paul and it can make the delay section distort (I use both pickups and designed the pedal using the middle one, it sounds awesome) I increased the values of C11 and C18 to filter more of the highs. Capacitors you can play around with to change the filtering are: C5, C6, C11, C18. 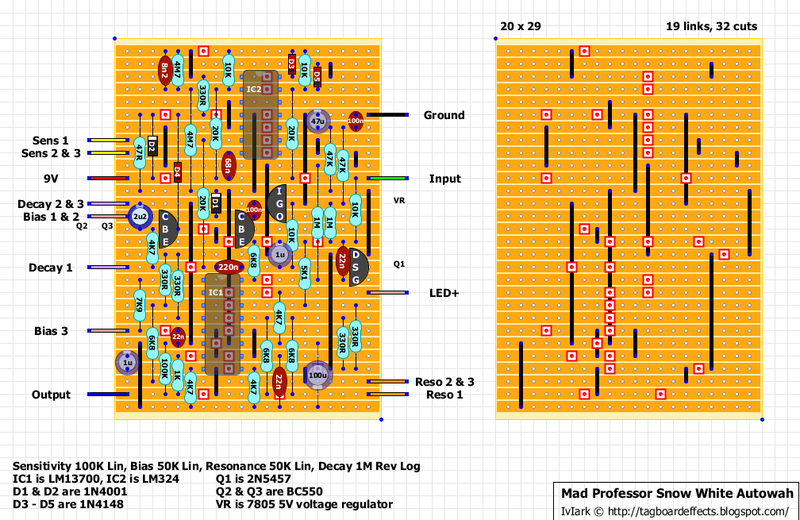 I used 240k resistors in the LFO, the original has 220k, you can add a "Fine" rate control as well. 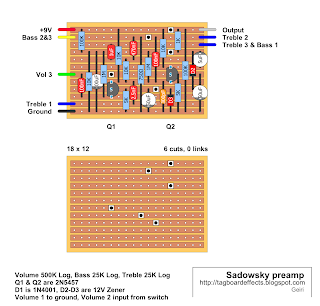 The tremolo could be inlplemented with an LDR, I used the J201 as it is pretty common. There is a bit of charge injection that is only really noticeable with the space (or smooth, can' t remember) knob is turned down, the tremolo sounds really good and smooth when that control is set properly though. Request and it's a quicky so I thought I'd do it while I had 5 minutes spare. 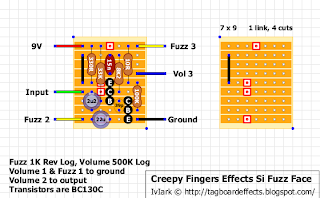 This is Creepy Fingers Effects take on the silicon Fuzz Face, and is pretty much stock with a few changes and additions such as the 10 ohm resistor in series with Fuzz 3 to try to tame the common oscillation you can get with silicon Fuzz Faces. If you still get oscillation then increase that resistor value until it goes. 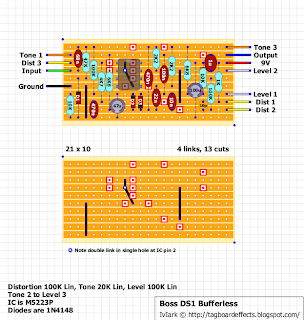 This was based on the great point to point layout by B-Man at turretboard.org and I've just made it as compact as possible. 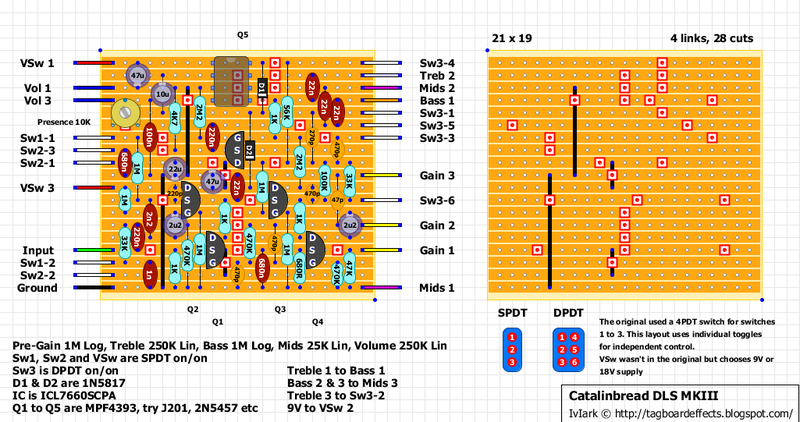 If anyone would prefer the point to point layout then B-Man's is there for all. I got an original unit some time ago and it is fairly nice clean booster. 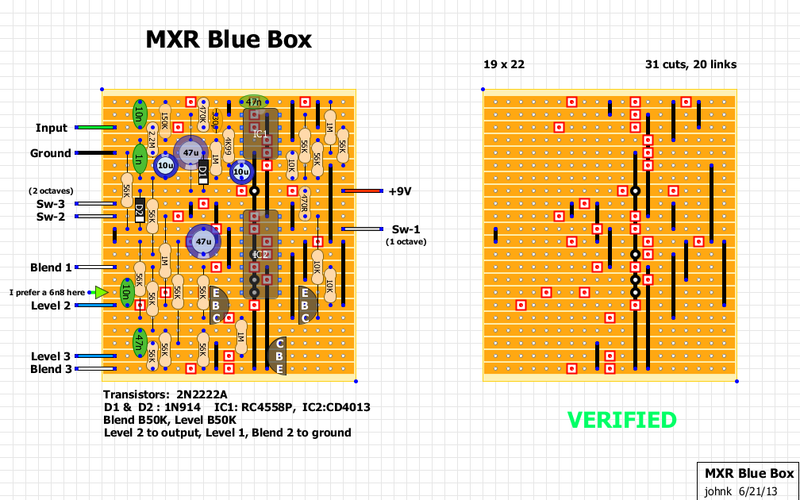 Apparently the new version is built in a smaller box, while the circuit remains the same. The Boosta Grande, a Guitar Player Editor’s Pick, is back in a new compact chassis to conserve space on your pedal board. 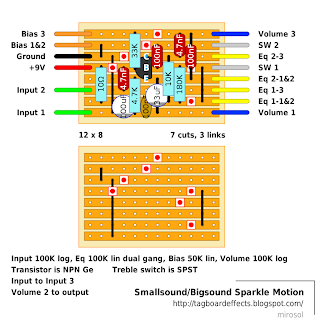 Very nice adaptation of Colorsound Overdriver with a few very nice mods. And the manufacturer isn't shy about telling us where the circuit came from. Very nice. 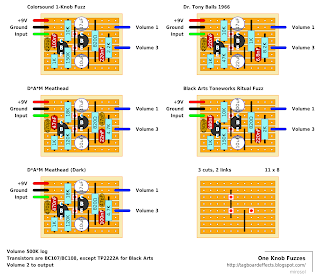 Throbak Electronics offers the Overdrive Boost. 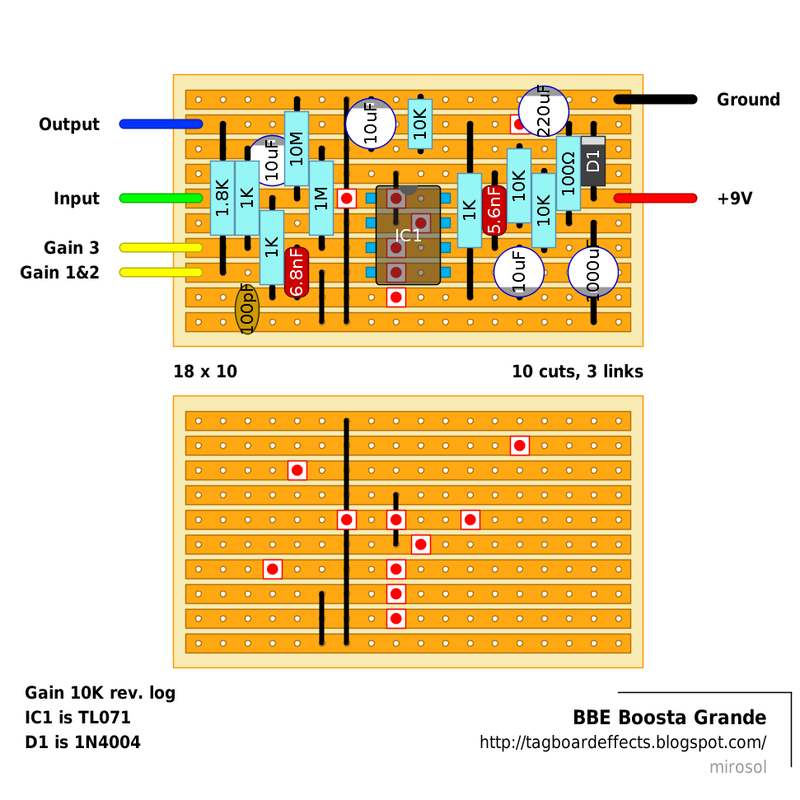 Throbak has reproduced and improved the circuit of the original Colorsound Overdriver (also known by the name Power Boost). The original was used by Jeff Beck and was an integral part of his 70's signature tone. The Colorsound Overdriver was also a favorite of Marc Bolan and is considered by many to be the best overdrive/booster ever made. This is truly amazing. 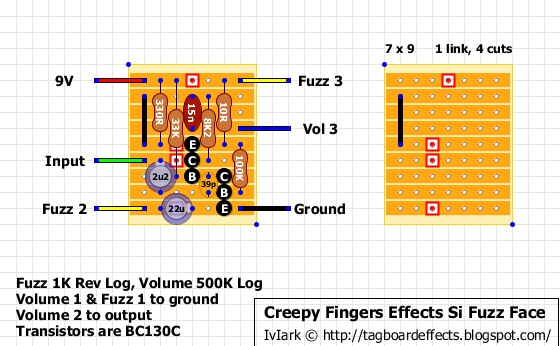 Madferrect cracked the ETI Struzz/Fuzz today and... We now have 500 verified layouts. It's not that long since Mark wrote a note for 400. List of unverified ones is quite long too and there may be some interesting boards still unbuild. Seems like we have a few new active people doing lots of builds and helping others on comments, which is just super. We also have tons of older faces still doing lots of very impressive builds and helping out. Thanks to you all, we're at this magical number. I think there are too many people to thank individually, so you'll just going to have to do with a collective thank you. Not even going to try to list you guys - i'm sure i would forget someone important. Don't know how i could emphasize it - Thank you! Knife the gaps and keep on building! the sparkle motion is our take on an iconic treble boost – the rangemaster. the added controls and circuit modifications keep the original tones of the rangemaster and expand on them. transforming the sparkle motion from a basic treble booster to a mid range boost, dark bass boost, gritty mis-biased overdrive and more! the FIRST (probably) rangemaster-alike that is bass-friendly… wow! 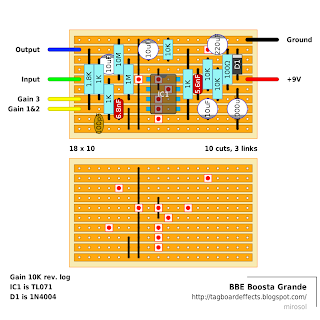 this is NOT an “authentic” rangemaster clone; in fact, it is an ANTI-treble boost. it does not include any secret mojo or anything like that, save for the NPN germanium transistor (which means you can use this RM clone with your standard negative tip power supply). note: the “original” bias point of around 7-7.2V has been changed to around 6.5V, because it sounds better there (at least to our ears). I did this as a bit of an experiment. 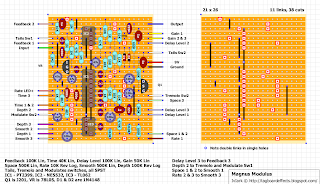 I want to build one and this has always been one of those that would prefer to do on a PCB, but I thought I'd still like to put a layout together to see how small I could get it using my methods and as I have I may as well put the results on here. 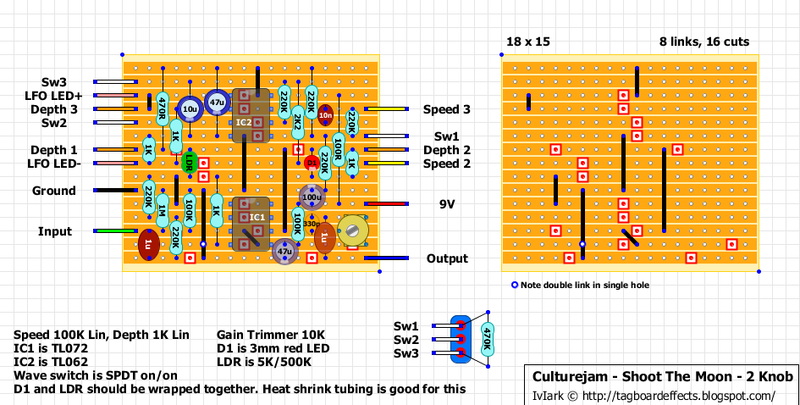 At 20 x 29 is may just fit in a 1590B if you aren't using a battery and have the stomp switch mounted right at the bottom, but with it having 4 pots, I think I'd probably opt for a 125B which should be a more comfortable fit. 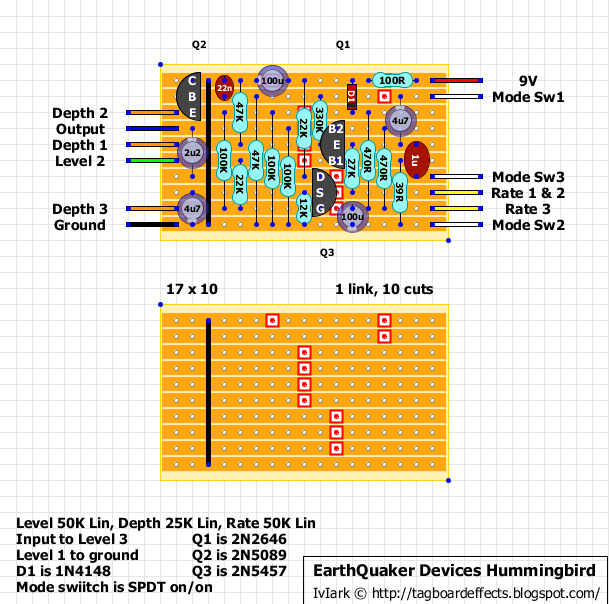 SENSITIVITY: Sets the filter trigger level, tune this carefully to fit your guitar/bass output and your playing touch. You can further change the sensitivity from your guitar volume knob while playing. The original used jumpers and a 4 pole internal dip switch, but I've done this one with external switching in mind. 3 pots and 10 toggles, who's up for it? :) Alternatively take a leaf out of the original if you want to keep the size down and use a 10 pole dip switch like these, and mount it on an internal daughter-board. It should fit nicely in a 1590B. Jump on Fetto Standard when your guitar and amp can't ride the lightning on reasonable levels, when you need anything between clean to really distorted sounds—to convince your audience, band and girlfriend(s) that the sound isn't the reason why your music is boring. Perfect string separation, all the way from smooth overdrive to heavy distortion. Never lose the character of your instrument or amplifier. Designed to match the volume control on your guitar perfectly. Most pedals sounds just like a pedal. 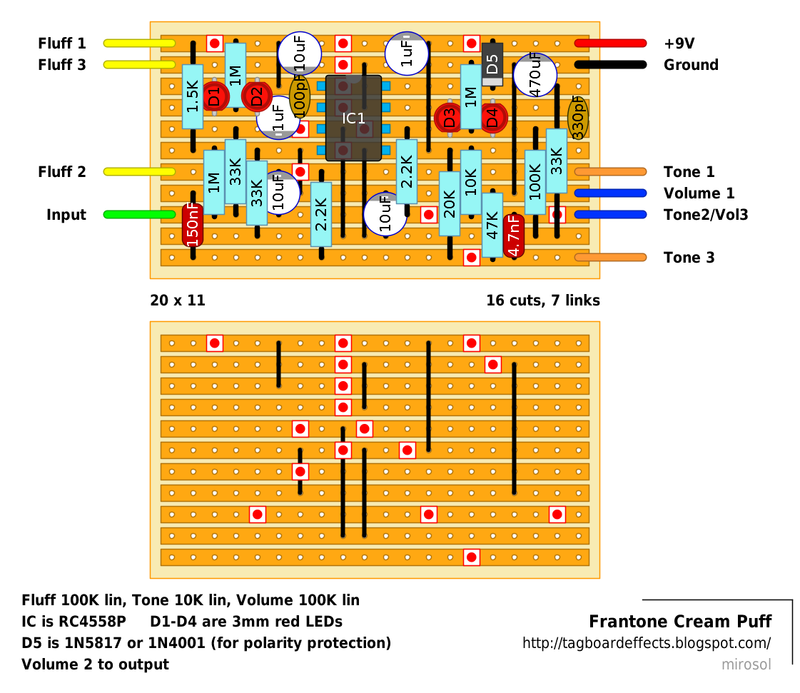 Not the case with the Fetto's which sound like an extension of your amplifier. Have you heard this before? Well, this time it's true. 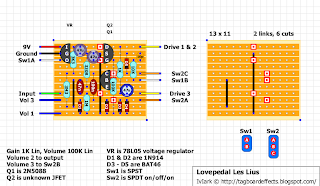 As with the original I've left a gap in the centre of the board for the LED and LFO to allow them to easily be bent to face each other and laid flat, ensure the LED and LDR legs don't short against any of the links or component leads in between. Heat shrink tubing or electricians tape will be perfect to bind them together and stop external light from reaching the LDR. If you don't do this remember you will need to box the effect or be in total darkness to test. 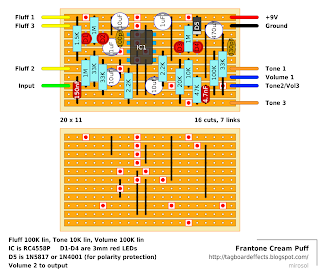 For your enjoyment, here is a tremolo that is pretty much identical to the Tremulus Lune, but with 2 fewer LFO pots. 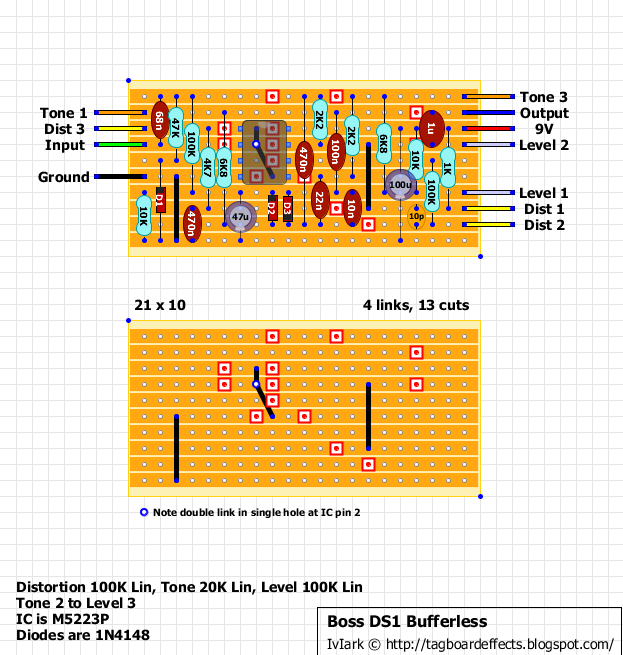 I think 4 knobs for a tremolo is plenty, and if you like the idea of the Lune but think it's got too much going on, this project is one you will want to pursue. 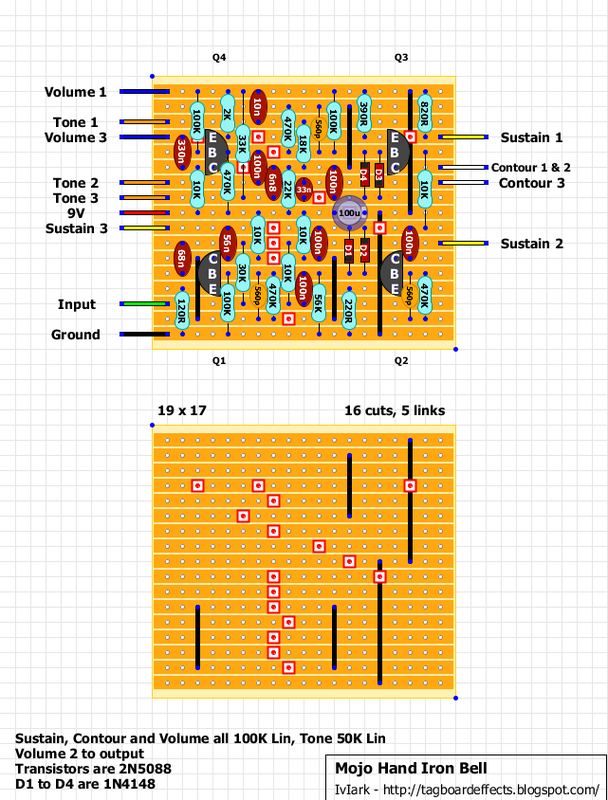 • I changed a few parts values to make them a bit more "standard"
• I added a resistor (R16) and cap (C7) to isolate the LFO from the audio path. 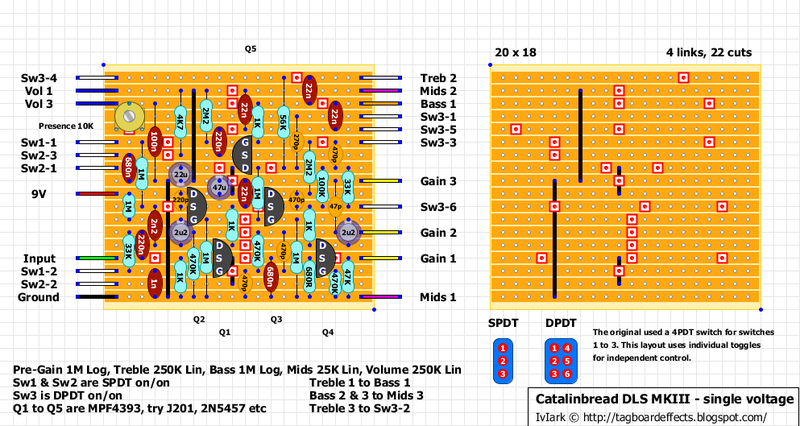 It might be overkill, but I like to err on the side of caution to avoid LFO ticking. 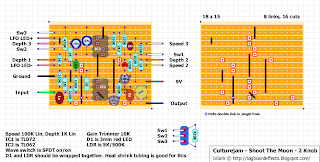 • I ditched the 9v regulator. I see why it would be there, but if 9v is the specified input voltage, a 9v regulator doesn't really make a lot of sense. Usually you need to give a regulator a volt or two more than its rated output to get to work properly. So I just got rid of it. • I switched the input and output caps from electrolytic to film caps. 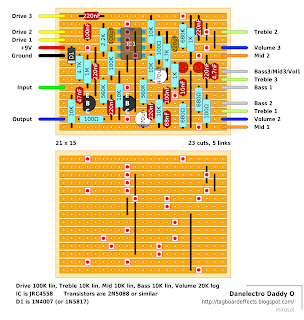 However, if you are making your own layout, you can still use electrolytics if you wish, of course. 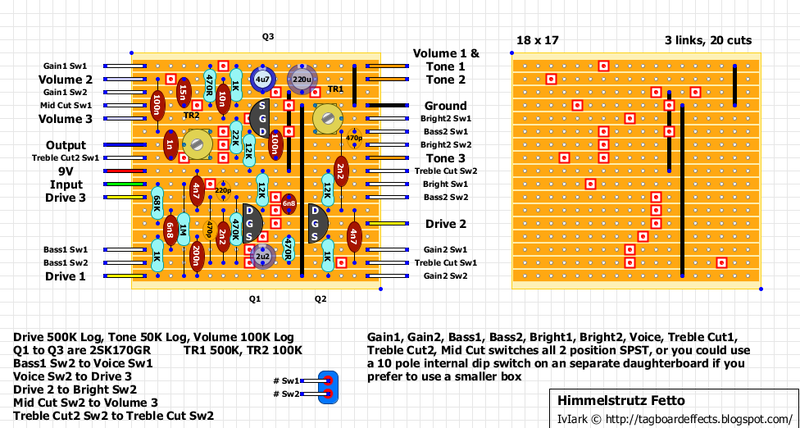 And an even more simplified 2 knob version with switch to select sine or square wave and gain trimmer. Now that we already have the Fab Tone layout published, i felt that we need to have this one too. Slightly simpler circuit with more controls.